While Hannah is away on a secret mission, Marty, Nick and Tim (with a brand new, very powerful microphone) gather around to talk about Truth: Red, White and Black, the 2002 masterpiece from Marvel that explores the dark side of Captain America's legacy. Listen and join our discussion! All Comics Considered first ever give away ends TODAY! 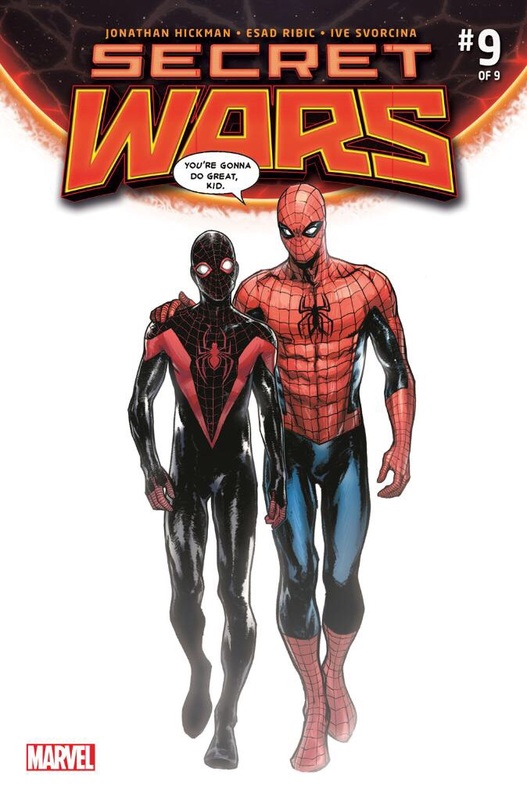 Leave us a review on iTunes or Stitcher Radio by the end of today--2/17/16--and you'll be entered to win a variant copy of Secret Wars #9 with a beautiful cover featuring Peter Parker and Miles Morales with art by Sara Pichelli. Please retweet, reblog, share, and remember: The Drawing for the Miles/Peter Secret War Cover ends today!